Submitted 1 month 2 days ago by feeds_user. 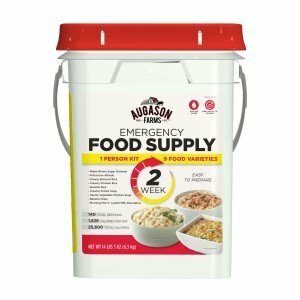 Included in our 2 Week 1 Person Emergency Food pail is a variety of great tasting emergency foods such as Fettuccine Alfredo, Maple Brown Sugar Oatmeal as well as delicious dry soup mixes like Creamy Potato Soup. You'll also find dehydrated fruit and Morning Moo's® Low Fat Milk Alternative, a delicious dry powdered milk drink.